We wonder what the Easter Bunny has got in store this year. 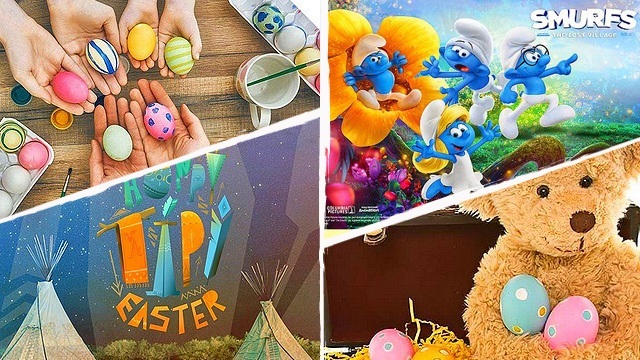 (SPOT.ph) This year, April 1 might be Easter Fools' Day for some. But trust us: We've got no tricks or pranks up our sleeves. Instead, all we have is a basketful of Easter fun. Check out our list below for staycation promos and activities that everyone can all enjoy on April 1! 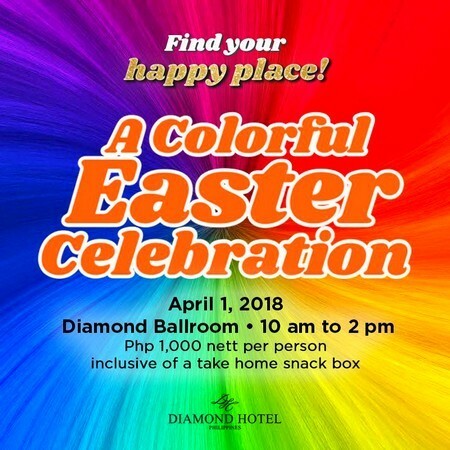 Find your happy place this Easter at Diamond Hotel's Colorful Easter Celebration! Party April 1, from 10 a.m. to 2 p.m., at the Diamond Ballroom. 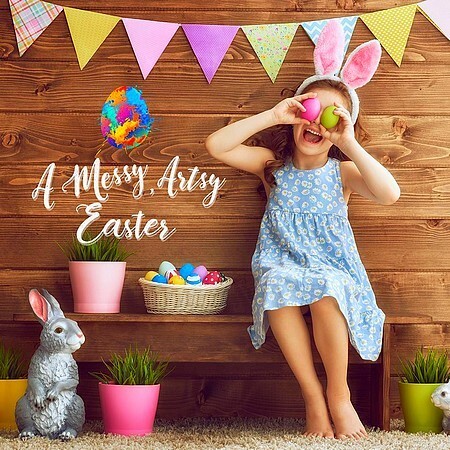 The Easter program includes face painting, color activity, games, glitter tattoo, musical entertainment, loot bags, photo booth, kid's salon, and a performance of Little Miss Magician Kyla Javier. Come in your best Easter Costume and get a chance to win exciting prizes! Tickets are priced at P1,000 per person, inclusive of a take home snack box. At Makati Shangri-La, spend longer quality time with your loved ones with a staycation instead of traveling out of town. Enjoy the hotel’s special Easter offers with room rates starting at P8,200++ per night, inclusive of breakfast for two adults and two kids, 20% discount on Easter Sunday Family Fair tickets, access to Holy Week Fun Activities, and a special Easter-themed welcome amenity. 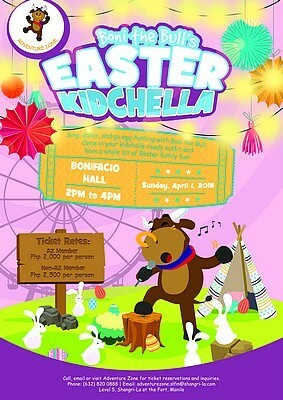 Catch the Easter Sunday Family Fair on April 1, from 10 a.m. to 2 p.m., at the Rizal Ballroom. For P1,500, get three food stubs, one beverage stub, one loot bag, Easter Egg Hunt, and access to the Easter games and show. Easter is around the corner! Time to get your baskets ready! 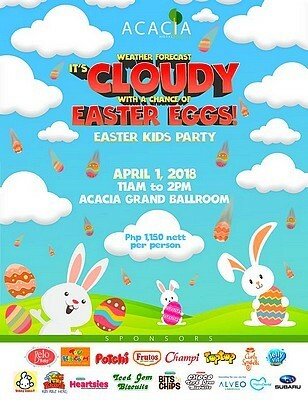 Hop on to Acacia Hotel’s Easter Kids Party and celebrate the holiday in cloud nine! Let it rain with awesomeness as you delight in cool games, booth activities, scrumptious buffet, fun-tastic performances, and amazing prizes! Head over on April 1, 11 a.m., at the Acacia Grand Ballroom. Tickets are priced at P1,150 per person. Jump, skip, and hop to a spectacular Sunday shindig with the whole family! Eastwood Richmonde Hotel’s Easter Sunday tradition is back with a bunny rabbit theme and with all the fun activities and exciting treats: a filling kiddie snack buffet with iced tea, an Easter egg hunt for the kids, an entertaining magic show, fun games and prizes, a costume parade with an award for the best themed costume for kids and adults, cupcake and cotton candy stations, a photo booth, loot bags, and so much more! The party will be on April 1, from 1 p.m. to 5 p.m., at the Grand Ballroom. Tickets are priced at P850 per person. Kids are in for a colorful experience as Dusit Thani Manila dabbles into the world of arts this Easter. 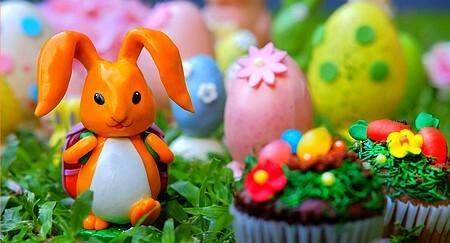 Apart from the treat-filled egg hunts, let their creative juices flow freely and get messy while creating masterpieces. Enjoy loads of fantastic activities, such as Easter egg hunt by the hour, mini treasure hunt for toddlers, egg hunting for kids, golden egg hunt, messy art sessions, inflatables, sponsor-initiated games and activities, mascot performance, and more! All this will happen on April 1, 11 a.m., at the hotel’s Glass Pavilion! It’s going to be an eggs-plosion at Manila Hotel on April 1, 2 p.m.! Join the exciting egg hunt with fabulous prizes! 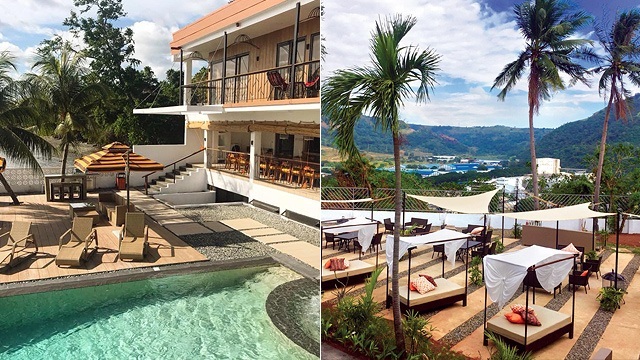 Avail the Easter Room Package that includes an overnight stay in a Superior Deluxe Room for P6,800, buffet breakfast at Café Ilang-Ilang for two adults and two children, and two complimentary Eggs-plosion tickets. Walk-in guests are also welcome for P500 each. 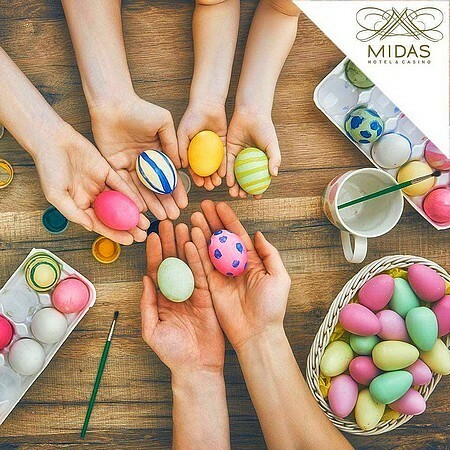 Treat your little ones to a day of fun and delight in a hop-py Easter egg hunt on April 1, from 10 a.m. to 12 p.m., at Midas Hotel and Casino’s Midas Tent. For just P500, get a ticket entrance for one kid and one guardian, loot bags, photobooth, light snacks and fruit juice for kids, magician with ventriloquist, acrobats, face-painting, Easter egg painting, coloring, cookie making, food and drinks, and exciting games and special awards. 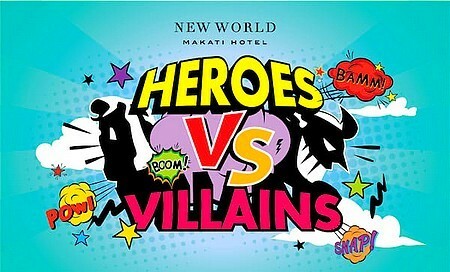 An afternoon of egg hunts, games, bubble show, bouncy castle, game booths, and more await heroes and villains at New World Hotel Makati. Ticketholders get access to the kiddie buffet, mocktail, and an Easter lootbag. Receive one ticket for every two dining adults when you dine at Café 1228 on Easter Sunday Brunch. Jasmine restaurant will also offer a ticket for every set menu availed on Easter. All the fun starts here at Novotel Manila! 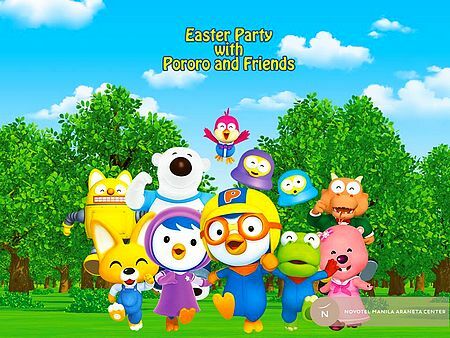 Join Pororo and Friends as they celebrate Easter on April 1, 2 p.m., at the hotel’s Monet Ballroom and Versailles Garden. Tickets are priced at P1,272 per person, inclusive of Easter Egg Hunt, Meet ‘N Greet with the Gang, Bubble Show, Games ‘N Surprises, and yummy food. Plus, there are lots more surprises and loot to bring home! Don’t miss it! 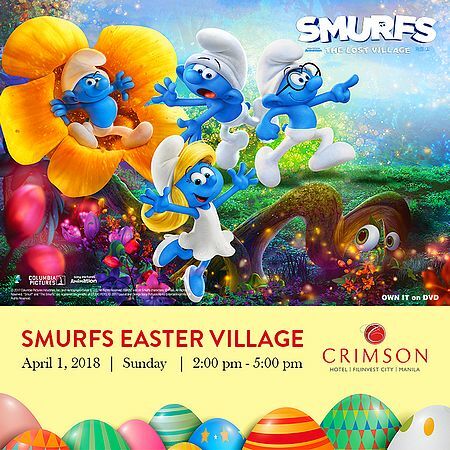 Just like Smurfette and her friends Brainy, Clumsy, and Hefty, everyone is invited to join the exciting Easter eggs-pedition through the Smurfs Easter Village on April 1, from 2 p.m. to 5 p.m., at Crimson Hotel. The entire family can look forward to a Smurfs meet and greet, Smurfs movie screening, egg hunt at the Smurfs Village, fun games and activities, photo booth, egg-decorating contest, and a lot more. Tickets are priced at P995 per person. 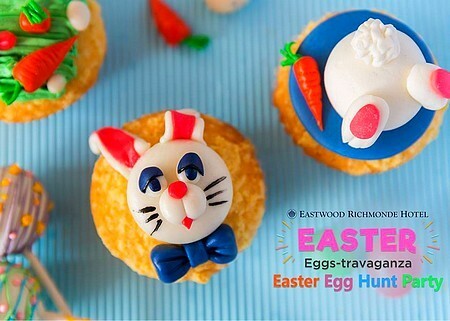 A perfect way to celebrate Easter with the whole family is through a hefty feast that’s topped with an egg hunt, kiddie activities, and a whole lot of treats to bring home! Get ready to experience a sugar-rush as Marriott Manila brings you the sweetest Easter for the whole family. 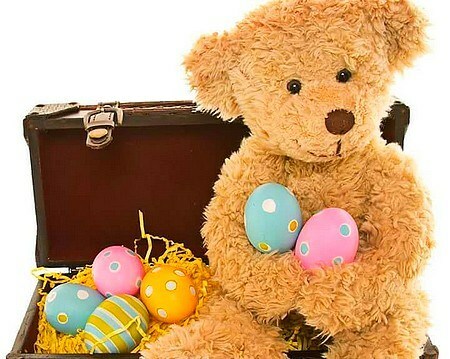 Don’t miss the magic show, a visit from Mr. Bunny, and a whole lot of exciting goodies. Catch all these and more on April 1 at the Garden Room 2. Tickets are priced at P2,800 per person. Over at I’M Hotel, join special mascots Elsa and Bumblebee on a special journey this Easter. From 1 p.m. to 5 p.m., the hotel’s Narra Ballroom will be transformed into an interactive arcade, complete with game machines and larger-than-life board games, along with a grand Easter show! Fringe activities, such as face painting, nail and towel art, photo booths and magic acts, can also be enjoyed during the event. A buffet and candy corner is also included in the ticket. Tickets are priced at P1,500. 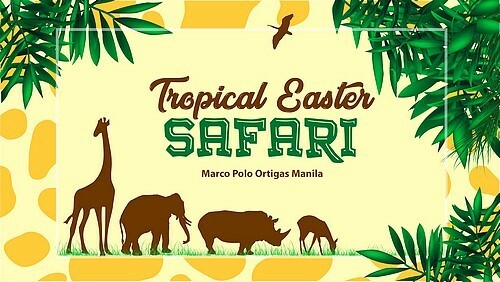 On April 1, join Marco Polo Ortigas as it goes into the wild! Discover nature’s beauty and fascinating facts about your friendly safari animals! Be amazed with Tropical Jungle Magic Show and wear colors with pride with amazing face painting. A Safari Special awaits everyone! Wake up bright and early, head over, and start registering by 9 a.m. Calling all kids and kids-at-heart! 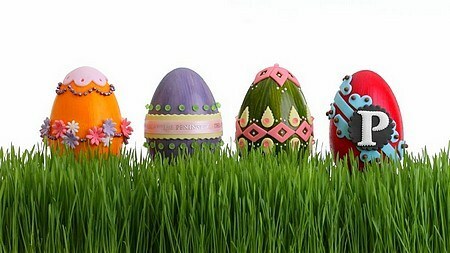 Join Seddy for an egg-citing Easter weekend at Seda Vertis North! Join the kiddie adventurers for a fun-filled day on April 1. The line-up of fun activities includes Easter Egg Hunt, Bouncy Time, Pet-a-Bunny, Color Buddy, Praline and Cupcake Workshops, and more. Ticket prices are P999 for adults and P850 for kids. Big surprises await the best adventurers! 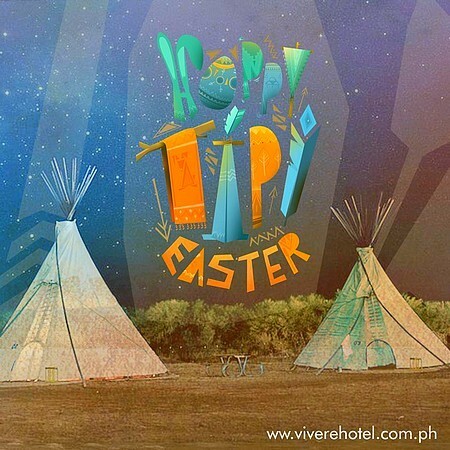 Hop on and join the tribe as Vivere Hotel camps and scouts for some Easter Delight on April 1, from 10:30 a.m. to 1:30 p.m., at the Vivere Ballroom. Join the adventure in search for Easter treats, gather around the tipi and, move to the drum’s beat! Tickets are priced at P950, inclusive of lunch buffet and loot bags for the kids. Bring the whole family along when you catch a break in the city at Shangri-La at the Fort. With rates starting at P9,900 per night for the Deluxe Room, enjoy access to the gym at Kerry Sports Manila, the outdoor swimming pools, and other amenities. On April 1, join Adventure Zone’s Boni the Bull for a jampacked afternoon of activities, beginning at 2 p.m. An array of activities are in store for everyone: Easter egg cookie decorating, musical improvisation and storytelling by local group Ispriktik, family dance and games, Brickz 4 Kidz’s building blocks, and an egg hunt. Tickets are priced at P2,500 per person. 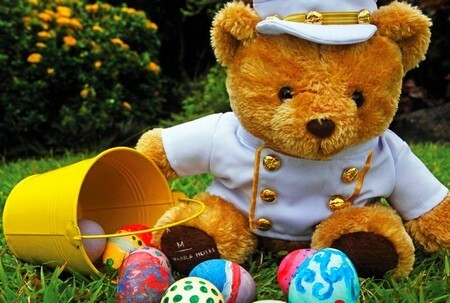 Book the The Peninsula Manila’s Pen Days of Easter Weekend Escapade package and enjoy a special breakfast buffet in Escolta, one complimentary passport to the Secret Easter Garden goodie bags, an Easter welcome amenity, and so much more. 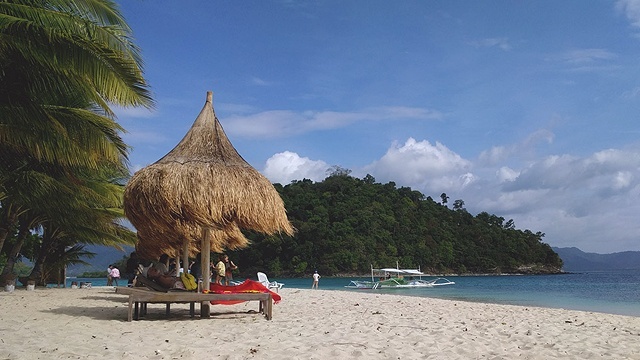 Rates start at P8,500 for a Superior Room. Additional tickets to the Secret Easter Garden are priced at P1,000 each.